Here at Time+Tide we are constantly finding ourselves getting caught up in what’s new and improved – taking it upon ourselves to keep you guys updated on the latest in watch releases (it’s a tough job, I know, but someone has to do it). Every once in a while, however, we like to look back and catch up on the ones we missed. 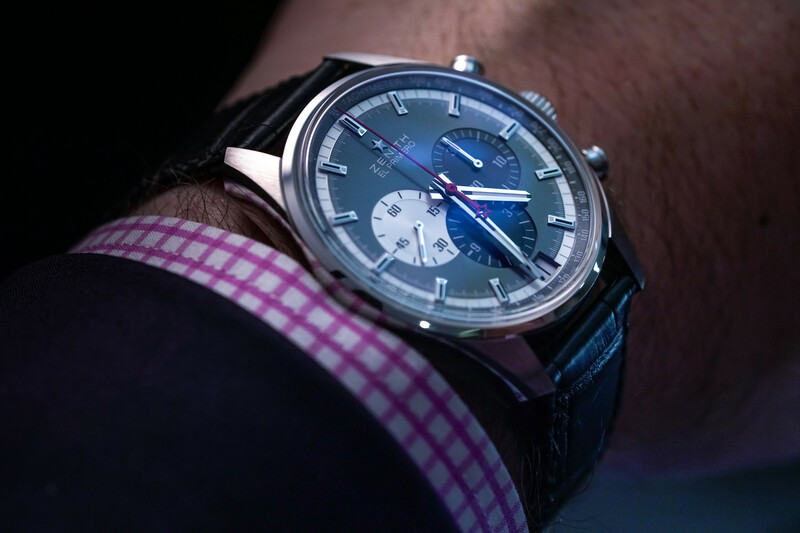 And, well, frankly we also love a chronograph, so we couldn’t resist getting our hands on Zenith’s Chronomaster El Primero 42mm. 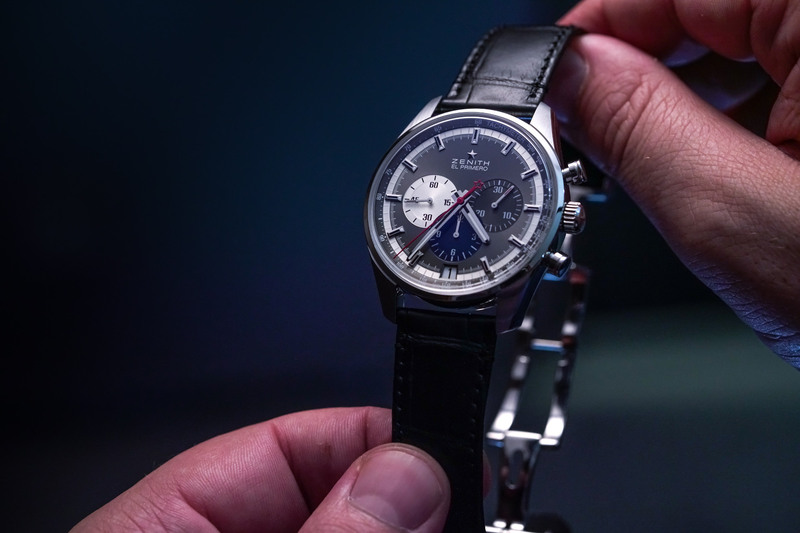 It doesn’t matter if you’re a seasoned collector or a fresh-faced newcomer to the world of watches, the history of Zenith’s El Primero high-beat chronograph will forever be a fascinating story to tell. Released in 1969 as one of the world’s first three automatic chronographs (alongside Breitling/Heuer’s Chronomatic and Seiko’s Speedtimer), the famed high-beat calibre is today as iconic as the watches it features in – ranging from Hublot’s Spirit of Big Bang to Bulgari’s Octo Chronograph. Perhaps the most well-known partnership, however, is the calibre’s adoption by Rolex, which saw modified versions of the El Primero used inside the newly modernised Daytonas of the 1990s. 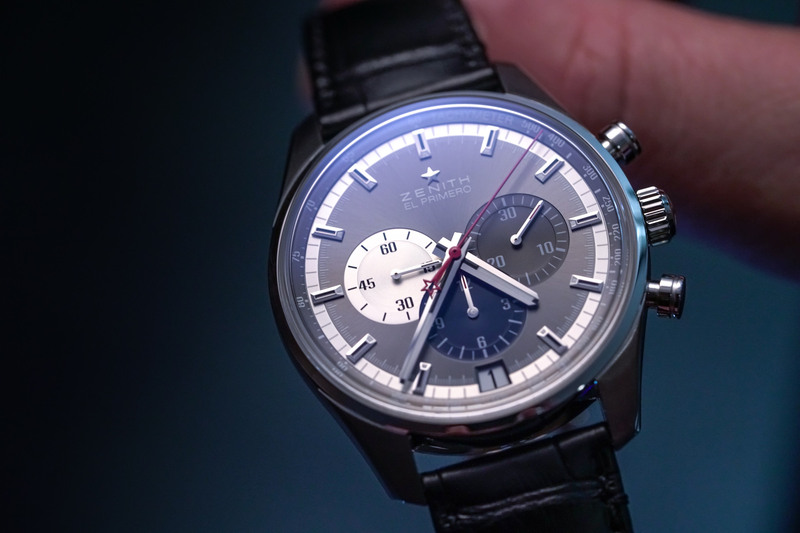 In fact, if it wasn’t for the El Primero, the Zenith we know and love today might no longer exist – forever confined to the pages of history as yet another unfortunate victim of the Quartz Crisis. It’s for this reason that if it’s a chronograph and says Zenith on the dial then inside is the legendary El Primero. And that’s exactly what we find here – the El Primero calibre 400B. An integrated column-wheel chronograph with a minimum power reserve of 50 hours and, of course, that revered frequency of 36,000 VpH. Composed of 326 components – with the date moved to a more symmetrical 6 o’clock – the 400B offers central hour, minute, and chronograph seconds hands, as well as a running seconds subdial at 9, and 30-minute and 12-hour counters at 3 and 6 o’clock respectively. It’s not so much the functions of these three dials that sets them apart, however, with each one a different colour, which not only looks the goods when set against the anthracite-toned backdrop, but also harks back to the original tricolour El Primero chronographs. On the wrist, the 42mm stainless-steel case wears slightly larger, which is mostly due to its thin polished bezel and the relatively open dial design that’s domed by a thick sapphire crystal. While a rubber-lined black alligator leather strap holds it in place with a triple folding steel clasp. And a mixture of brushed and polished case finishes combines with light-catching dial details to create a flashy piece that’s sure to be a conversation starter. 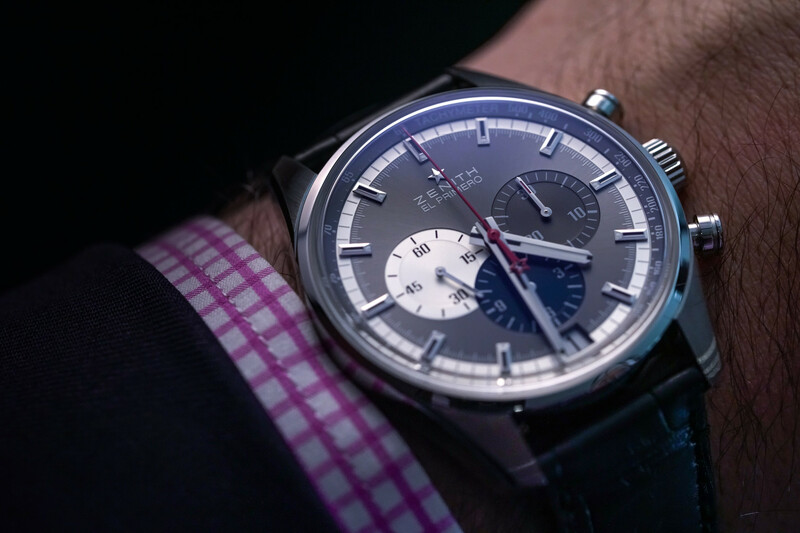 And with a historical pedigree as storied as the El Primero, the exchange should never be boring.